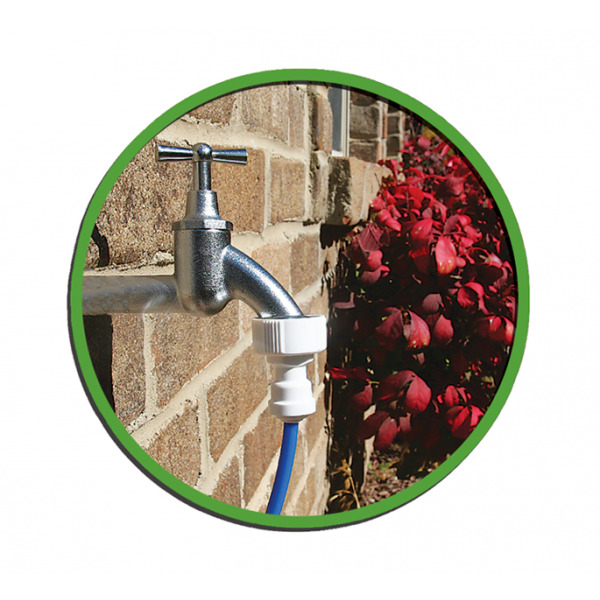 *Eliminates 95%, of salts and heavy metals. *Protects beneficial micro-organisms in your soil. 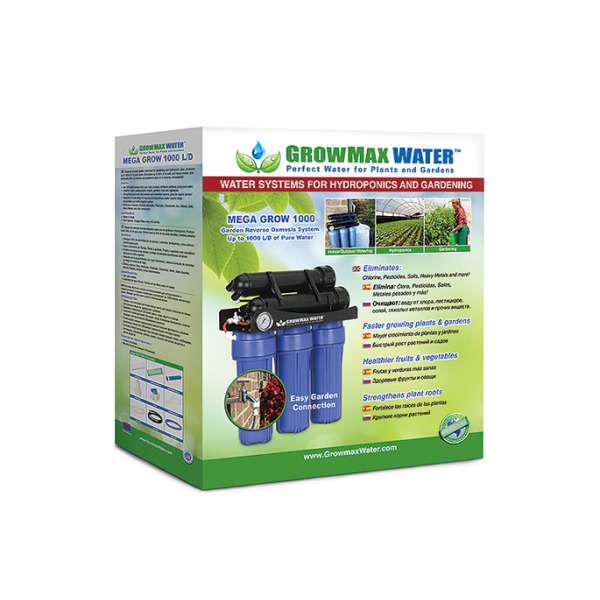 *Get 100% effectiveness from your nutrients and fertilizers. 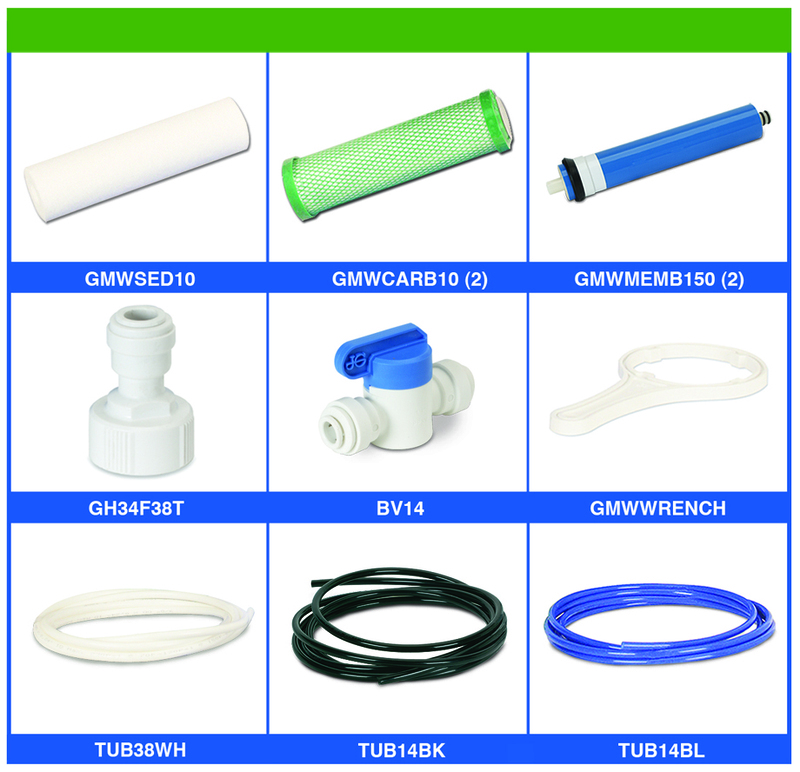 A one year warranty comes with each system and protects against manufacturer defects on all components. 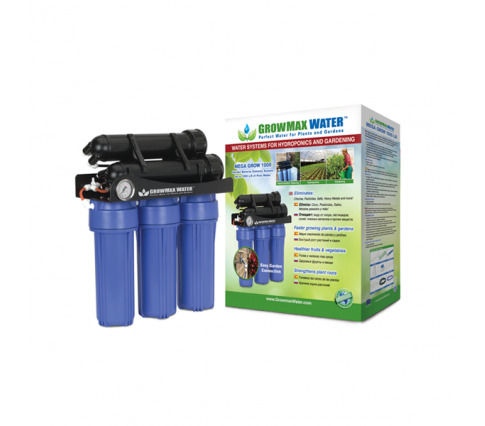 The warranty does not include obstructed filters or membranes due to lack of regular maintenance or due to excessive sediment, chlorine or hardness in your water. The warranty also does not include damage to the unit from use outside of normal grow and garden installation parameters. 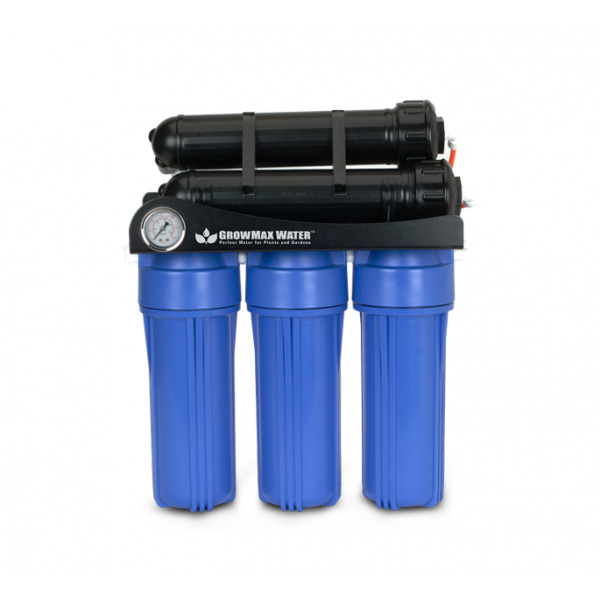 Reverse osmosis system optimized for gardening and hydroponic uses, up to 1.000 L/D of pure water. 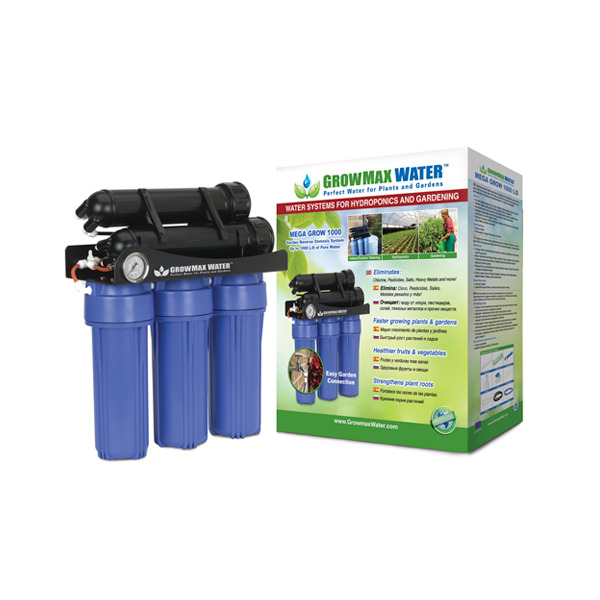 Eliminates up to 95% of all of salts and heavy metals. 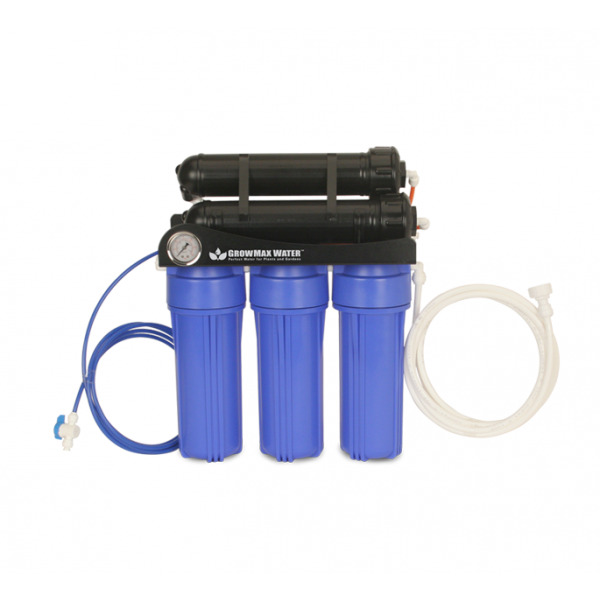 Also eliminates 99% of chlorine and sediments down to 5 microns, immediately!